2018 – WAS IT REALLY THAT BAD? JANUARY, as is now always the case, saw us start another year as the Pops repeats on BBC4 moved onto 1985, one of the worst years for the show with the Video Top Ten and too much talking, though happily they accompanied this with another outing for all the early eighties episodes in the small hours, ensuring there were dozens of Rhythm Pals episodes on iPlayer for our delectation. 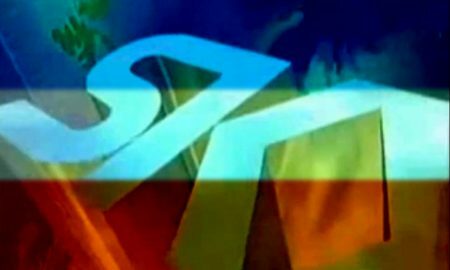 Blue Peter got in the news this week after the Radio Times named it the greatest kids show of all time, which was enough to get it all the papers, and yet when we did the theme tune vote the other year, nobody wanted to know. A couple of people complained the panel that chose it was made up of Blue Peter alumni, but it was a bit rich coming from the TV critic of the Evening Standard who says everything on London Live is fantastic. 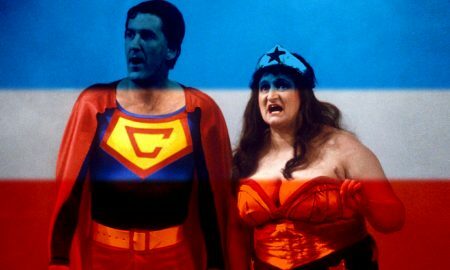 Outside of telly there was also the new Guardian, after twelve and a half years in Berliner form, during which time the front page headlines went from “Backlash over Blair’s school revolution” to “US President: Africa is a shithole”. We have talked about other things than Blue Peter this year but in FEBRUARY we were quite excited that Radzi graduated to grown-up telly when he fronted the Beeb’s Winter Olympics coverage, and then on Question Time, not that we could bear to watch that. As a celebrity Christian we’re sure he would also have enjoyed our review of the God Slot, something that, like the pools, was such a familiar part of our lives for years but has now completely disappeared. And we went on holiday to the Lake District and made a point of watching Lookaround on our hotel telly. Alright, that wasn’t in Creamguide, but we do have a life outside this thing. In MARCH we battled sub-zero conditions to get Creamguide out, and anyone snowed in may have alighted on the Corrie repeats on ITV3, which are still going even if we never get round to billing them but have proven great fun, not least when it offered up Alan Bradley explaining the differences between VHS and Betamax to Jack Duckworth. The NME closed down as well, although sadly it was announced after the final issue had gone to press so it came to an end via a tiny pamphlet with an advert wraparound cover with nothing of interest at all. Sadly both Ken Dodd and Jim Bowen died within a week of each other, and although we’re sure Jim would have suggested he was never in the same league as Doddy comedically, he certainly made an impact on telly to the extent our cousin demands her kids watch Bullseye with her on Challenge every week. APRIL saw the triumphant return of The Generation Game, as triumphant as any show where two of the planned four episodes were never shown, although such was the novelty that it got a big audience for the first one – and then a much smaller audience for the second, but it’s coming back. A more welcome comeback came when Noel made a cameo appearance on Saturday Night Takeaway which was really good, and presumably paved the way for his jaunt to the jungle later in the year, although it looks like everyone’s gone off him again now. Sadly the end of this series of Takeaway also saw the end of the London Studios which are now being demolished to build fancy flats instead, though at least This Morning defected to TV Centre and Pip was in his element back on his own stomping ground. They’ve built an ice rink outside the building now too! In MAY we missed out a Middle Bit as we had to go and rescue someone who’d got locked out. That’s the kind of professionalism you’ve come to know and love from Creamguide. May was also election month and we were quite pleased that for once these weren’t polls of pivotal importance with the future of the country or the world on the line but instead just some boring local elections where we could just enjoy the graphics and that. On the world stage. the potential end of hostilities between North and South Korea played second fiddle in most people’s minds to the news that ABBA were reforming, although they seem to be taking their time getting those new records out. An even harder job than reunifying Korea was changing the Radio 2 schedule, with Simon Mayo and Jo Whiley’s ill-fated drivetime show now surely replacing The Mark and Lard Breakfast Show as the least successful radio show of all time. At least they cut their losses early enough, we suppose. In JUNE we started our quest to compile the ultimate Now album, a tournament surely just as important as the World Cup, which began this month. This was supposed to be an awful tournament in which all England would contribute was hooliganism, but it turned out to be great fun. That ITV set was bloody horrible, though. The Chuckle Brothers made a comeback but their Channel 5 series was just them linking viral videos and half of it had to be shown posthumously after Barry died, which is a shame. A new double act did appear, though, in the shape of Mortimer and Whitehouse in a hugely entertaining show which confirmed yet again that Bob is the nicest man in showbiz. In JULY it was bloody boiling, for ages! That, and the excitement of the World Cup, meant nobody was especially bothered when the return of Alright on the Night was aborted three times in a week thanks to extra time and penalties. Wasn’t especially worth the wait, anyway. 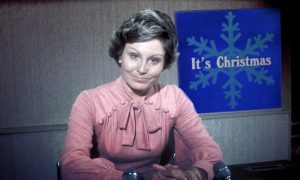 Pops motored into 1986, a slight step up from the tedious 1985, while BBC4 also gave us the first ever repeat of the second half of Christmas 1971, for no particular reason we could work out. OK, we’d seen all the clips a billion times before, but crucially, not in that order. AUGUST has always been a big month for nostalgia and we got that this year with Dad’s Army on the cover of the Radio Times and ITV bringing back wrestling, much to everyone’s excitement for about five minutes before they realised it was actual proper wrestling being taken seriously. 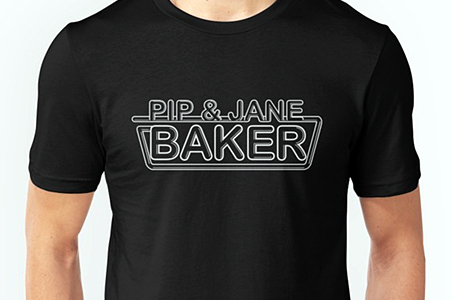 Drama had a bit more luck with their ‘stEnders repeats, initially billed as a short series but continuing seemingly indefinitely now, ensuring we reached Den and Angie’s big moment in time for Christmas. We also started our jaunts through The Time Tunnel and we’re sure you’ll be thrilled this slot next week will be filled by a load of YouTube clips instead of huge slabs of text. We also went on holiday to Northumberland and enjoyed noting all the ways Look North deviates from the BBC News style guide. Again, this isn’t anything to do with Creamguide, but we do like to get out and about. Is there any less enticing phrase in the English language than “a new look Top of the Pops”? That’s what we got in SEPTEMBER with BBC4’s repeats marking the moment we sadly lost the audience dancing over the credits, and gained The Wizard, though the change to the Top 40 was abandoned after five minutes. 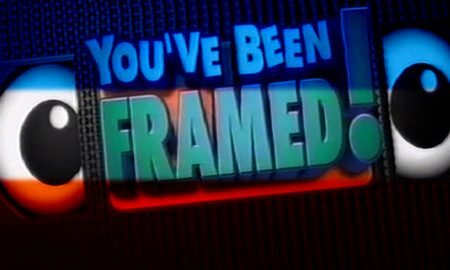 Points of View was back with no Jeremy Vine, instead with Tina Dahealey doing it all out of vision, which made it a bit less smug but the letters were no less idiotic. 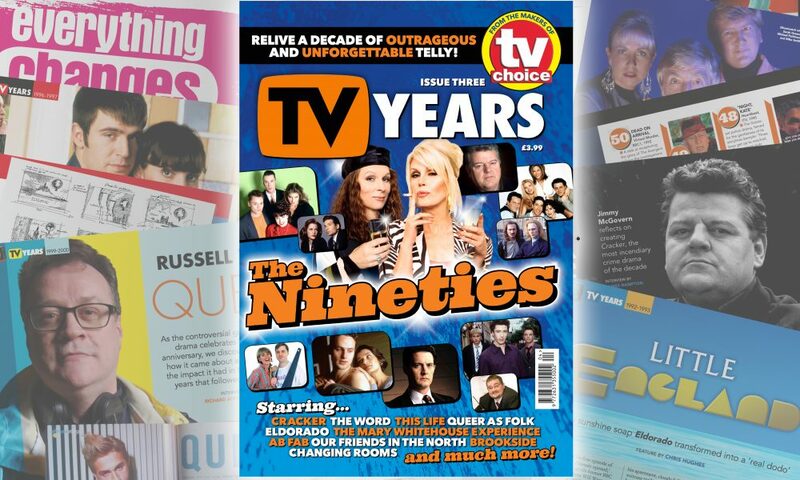 And we had great news for all readers, not that we were merging with Buster, but that the TVC-affiliated TV Years magazine was heading to the shelves, and we’re thrilled everyone seems to have enjoyed it. More in the new year too, pals! In OCTOBER we heard that the days of election repeats on BBC Parliament may be a thing of the past as it’s only going to broadcast, well, parliament, but apparently they might have changed their minds about that. 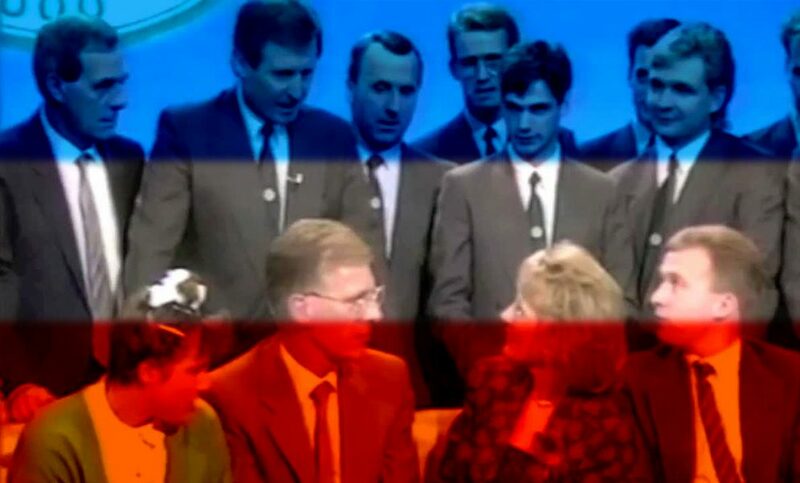 The big news was the sixtieth anniversary of Blue Peter, marked in fine style with pretty much every presenter, including those who don’t usually do this kind of thing like Lesley Judd, making a triumphant return. Another BBC juggernaut returned in Doctor Who, now on Sunday nights of course and with a series that seemed to go down really well and certainly did the business ratings-wise, even though the determination not to bother with series arcs or cliffhangers made it all seem a bit lightweight. Still, roll on 2020. A couple of interesting repeats in NOVEMBER, including the first showing on the Beeb for a while of Blackadder, which then got several other repeats to make sure it was never off iPlayer, while Talking Pictures continued to delve into the Thames archives to give us Public Eye and Danger UXB. We nipped off on holiday yet again – such metropolitan luvvies we are – and the old Digi-Creamguide Editor became the Graham Norton to our Jack Docherty and got everyone talking about brutalist architecture. Come back soon! 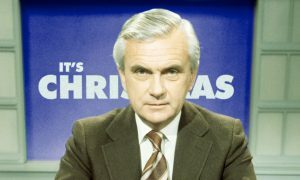 And then it was DECEMBER and we thought it was a pretty decent Christmas on the telly what with Christmas tapes and the London Studios doc and the like. Before that was the revival of Tomorrow’s World which everyone enjoyed, and Howard and Maggie were brilliant, so let’s hope everyone listens to Maggie and we get it back on a regular basis. That’s what we got with Vic and Bob’s Big Night Out, which we reckon is the best thing the pair have done for ages. Quite a boast! But what will 2019 have in store? One thing you can be sure of is us wibbling away on a Thursday night, which we’ll do until we get fed up with it or nobody’s listening. Either way is good. We send out Creamguides – from whence this feature came – every week via email. If you’d like to receive it – it’s free, there are no ads, we don’t sell on your address, you can unsubscribe whenever; we’re basically soppy like that – then fill in your details below. Related Items:Creamguide, Creamguide Review of the Year, Frontpage! 2017 – was it really that bad?